"Ok, the trail ends up here, where should we go next? Is there a trail there, no. Alright then, let's just hack our way to summit"
Though just a minor hiking destination, never did I read an account about Mt. 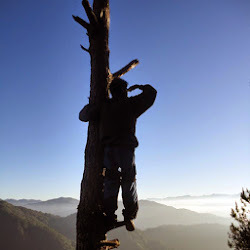 Kalisungan wherein the hikers successfully reached its summit without experiencing the notoriety of its trails (of course the ones who hired guides aren't included). And because of it, I've been itching to enlist it on my ever increasing summitted mountains. When an invite for a dayhike on this mountain came knocking at my door (just a day after my solo hike at Mt. Banoi), I said yes without any hesitation. I headed down south again to experience the mountain infamous for its numerous confusing split-trails. 05:30 AM when we reached the duck junction at Victoria, Laguna from Buendia-Taft in Manila (P90 bus ticket at Green Star, meron daw promo kaya mas mura). I was with 4 other hiking buffs and we're all up and ready to be lost on Mt. 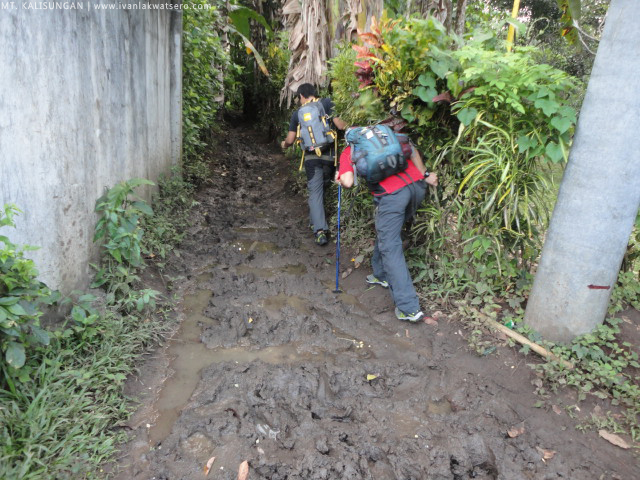 Kalisungan's trail. 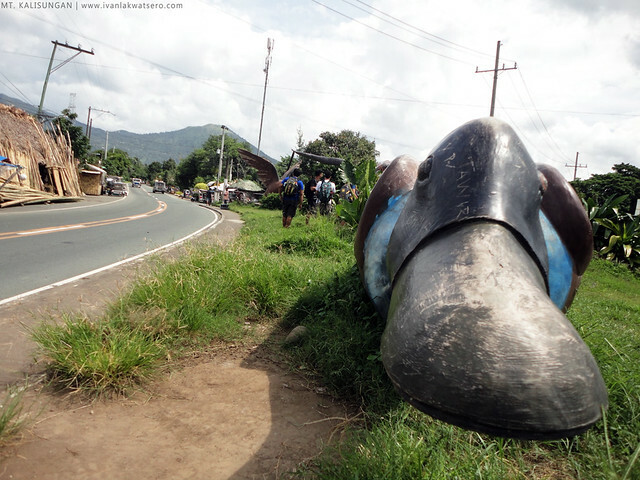 From the duck junction (nagulat ako na marami palang duck sa junction na yun, kala ko dati isa lang), we rode a tricycle (P15/head) to the jump-off at the Barangay Hall of Lamot in Calauan, Laguna for the registration. 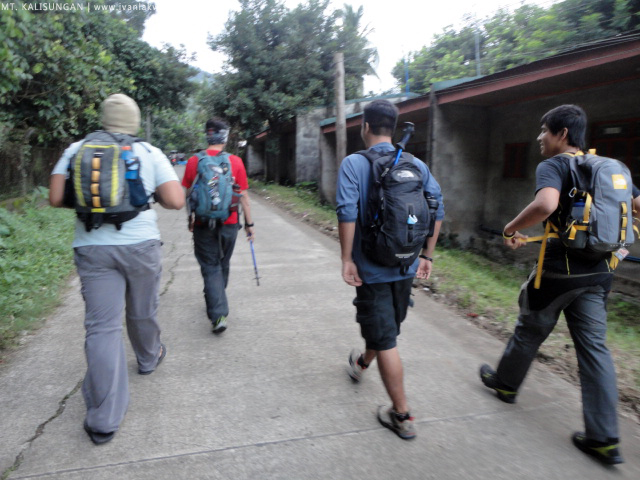 But since it was only 5:45 in the morning when we arrived and the barangay hall was still closed (it opens at 8AM), we started the trek even without registering our names there. 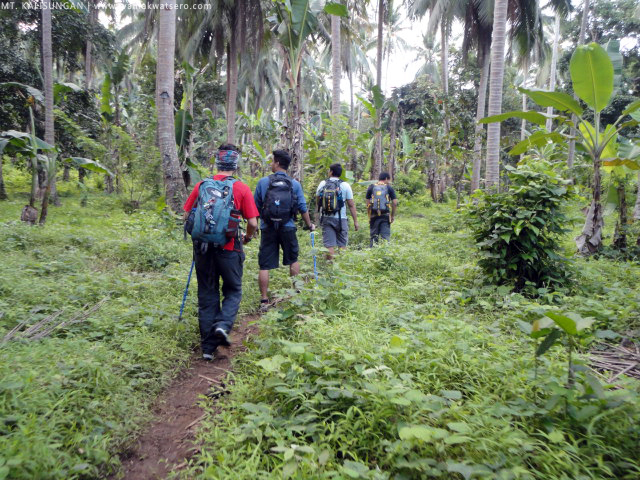 We chose to take the Field of Faith trail and not through the usual Erais Farm trail (meron daw kasing incident sa farm na yun na ayaw namin mangyari samin). 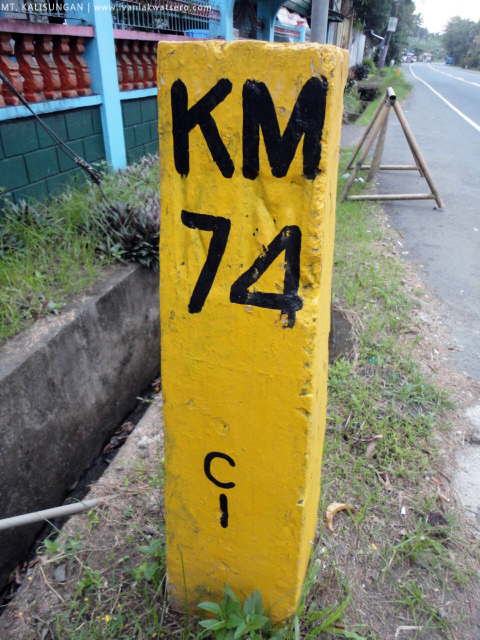 Our trek started on the street (where the Kilometer 74 is located) just across the barangay hall. 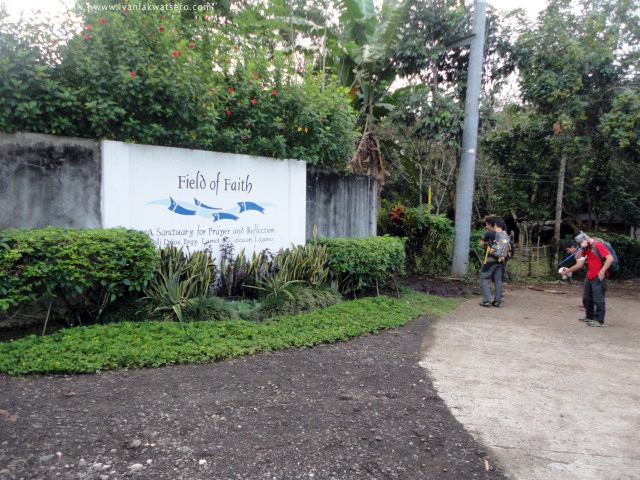 We walked 1.2 kilometers (ayon sa karatula ng Field of Faith) along a concrete road until we reached the muddy trail head to Mt. Kalisungan. 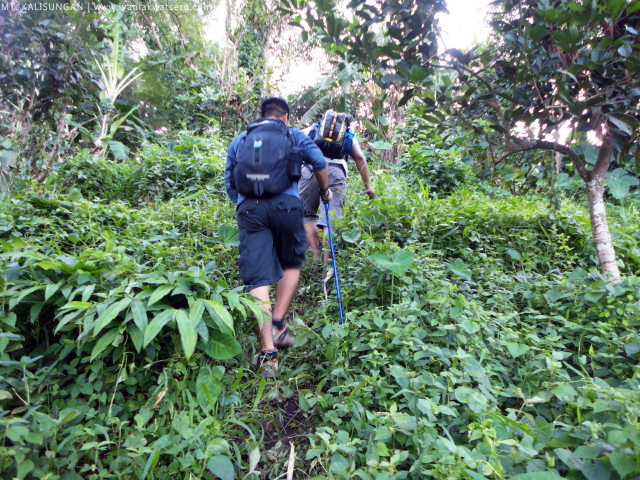 At first, it seems that it was just an easy single straight forward trail like most of Southern Tagalog mountains, but in no more than 5 minutes from the trail head, we encountered a fork on the trail. We continued following the main trail, ignoring the other side trails, but we soon realized that it's now leading us away from the mountain. 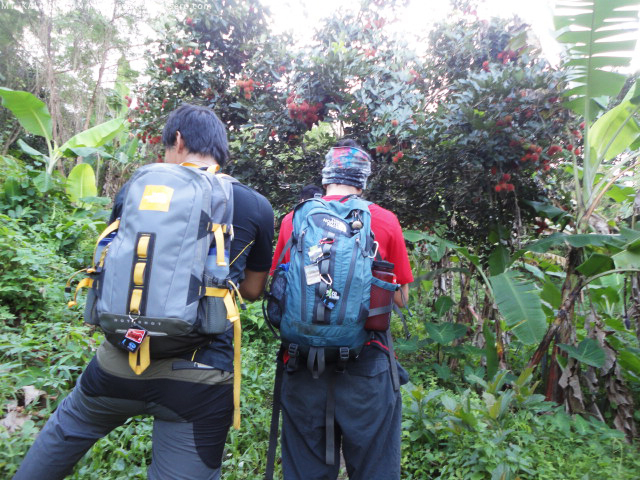 As we started to doubt the main trail, we turned left on the next forking trail we encountered which then led us to a forest of banana plant. We were still following a visible ascending trail up to about 400 masl (according to an altimeter) when it suddenly vanished somewhere. Pretty much uncertain where we're really heading next, we just hacked our way up until we saw again a visible trail. We followed that trail but again it vanished somewhere, so we hacked our way up again until we saw another visible trail. Arggh, even us were not spared by Mt. Kalisungan's ferocity. 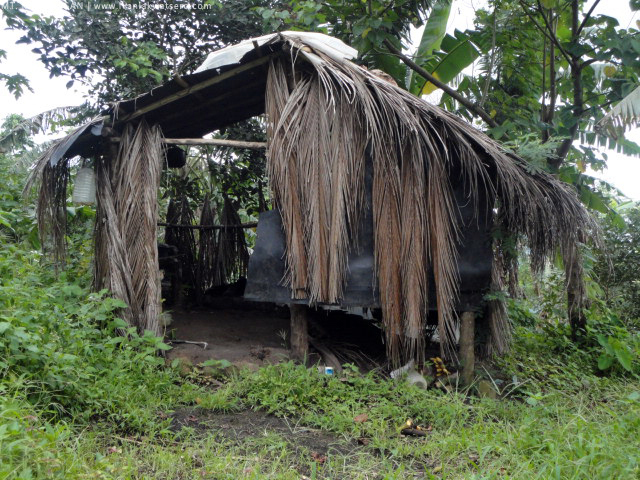 This cycle continued for about 2 hours, in between, we encountered a number of huts and fruit trees like rambutan, santol, papaya and more (grrr, the fruits were so tempting). so far, Mt. 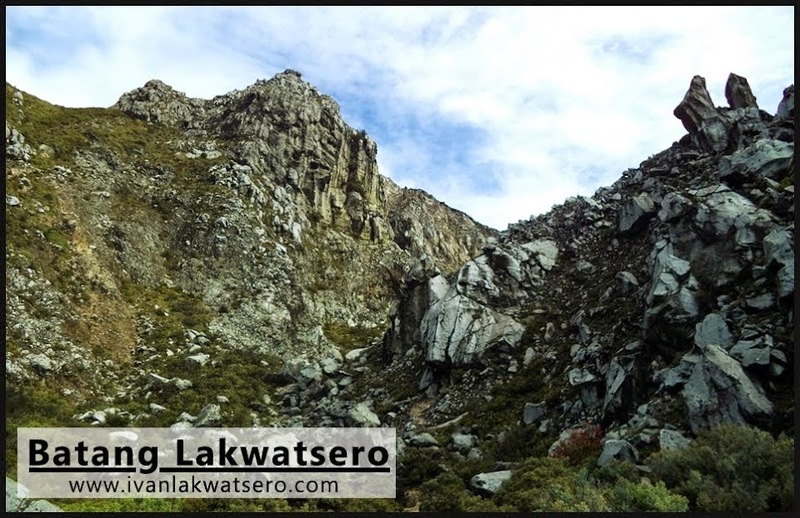 Kalisungan pa lang ang bundok na naakyat ko na talaga naman hitik na hitik sa prutas ang trail. I guess we weren't out of luck after all, because out of the wilderness came the main trail again. So we followed it until after about 30 mins, grassland appeared before us. 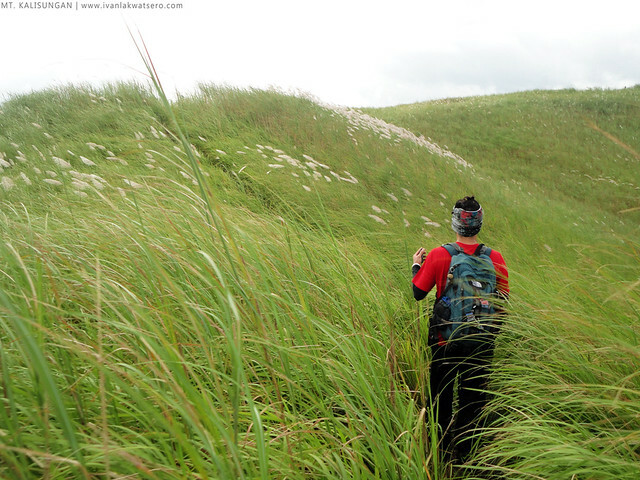 The grassy assault to the summit reminded me so much of Mt. Tagapo. The grasses, taller than me, hit me like a whip at sobrang nakakahingal lang ng assault na ito. 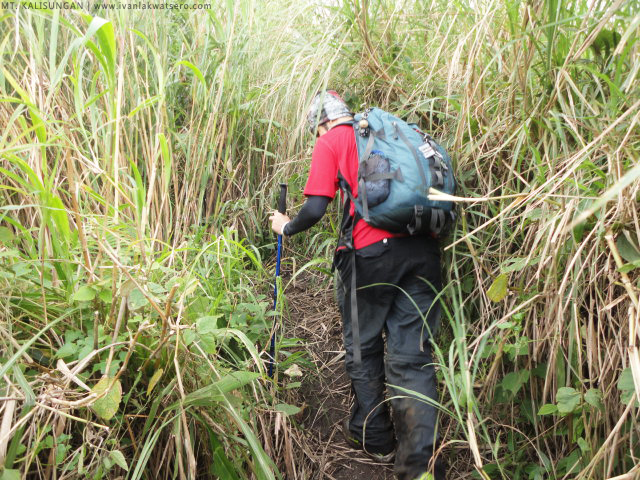 I was walking on the trail to the main peak with my eyes shut (dahil sobrang mahangin at talagang nanghahampas ang mga talahib). I summitted Mt. Kalisungan at 08:45 AM,(yey, my 20th mountain). I remembered seeing photos of the summit of Mt. 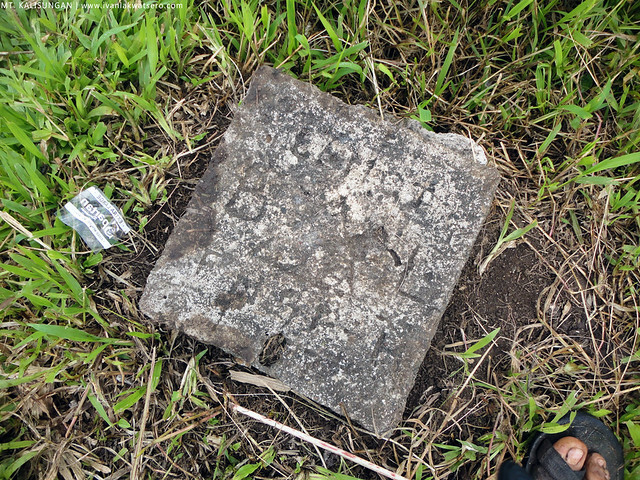 Kalisungan with a tilted wooden cross as a marker, but it was not there anymore. 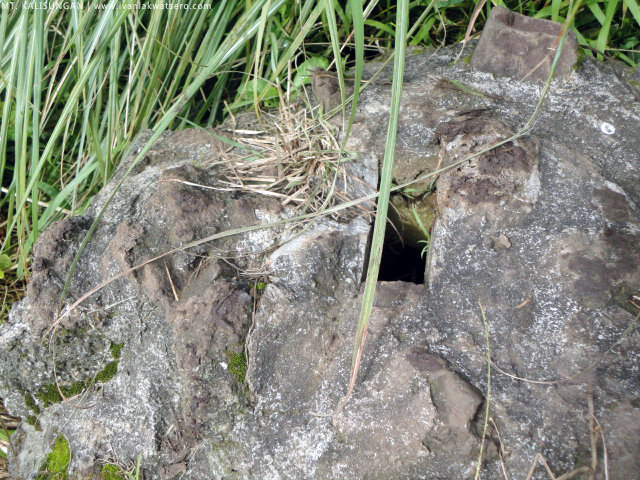 Only the rock where the wooden cross used to stand remained on the site. 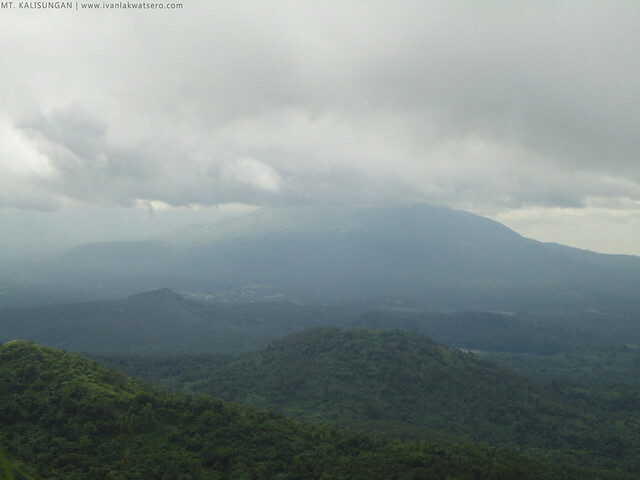 Heaven blessed us with great weather that day, and with it, we enjoyed a 360 degrees view around. 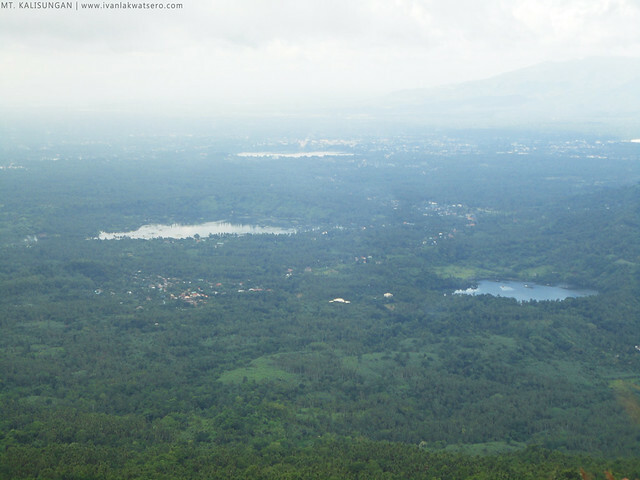 There's Laguna Lake and the adjacent mountains (Mt. Sembrano, Mt. 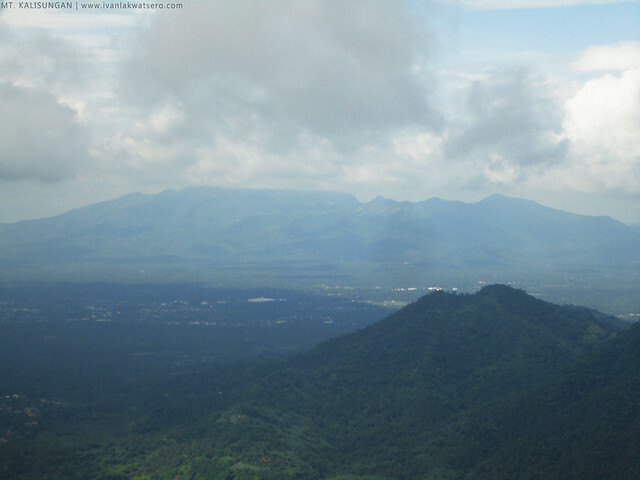 Makiling and Mt. 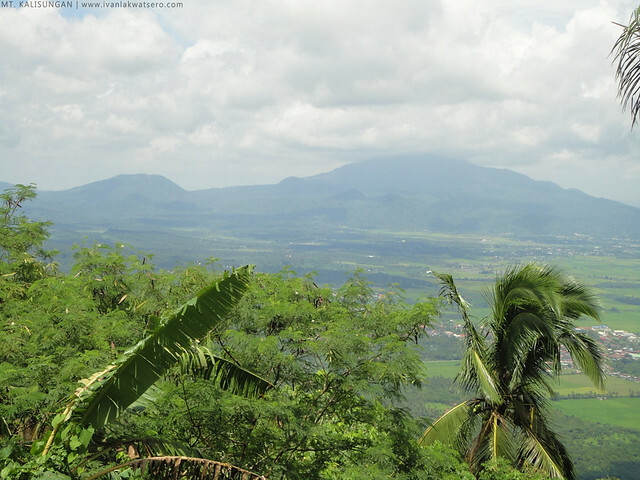 Tagapo), 7 lakes of San Pablo, Malipunyo Range, Mts. Cristobal and Banahaw. 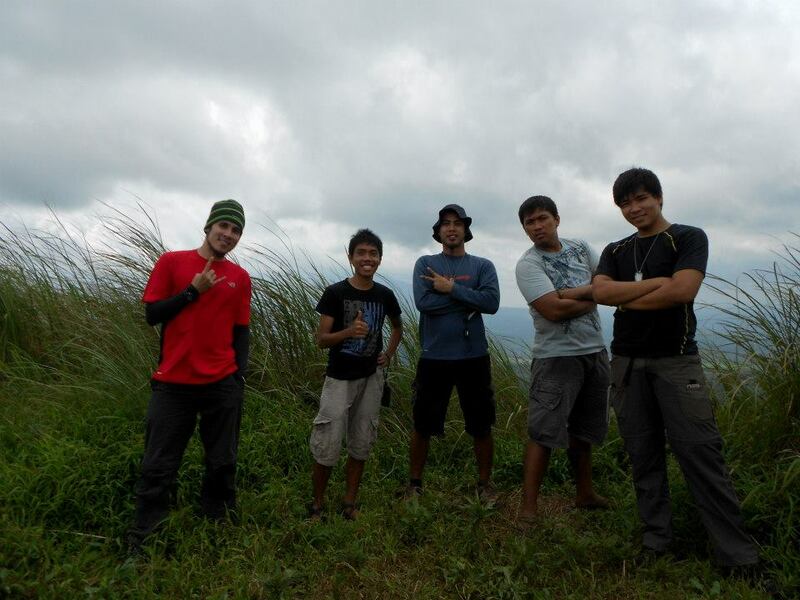 We stayed at the summit until 10 AM (medyo mainit na kasi). Following the main trail from the summit, we descended Mt. Kalisungan (strange dahil tuloy-tuloy naman yung trail, at meron naman trail signs sa paligid... talagang inaabangan namin kung saan kami makakababa). In about 2 hours, vwalla, we were so surprised that we're back again to Field of Faith entrance. We did the hike from 05:45 AM to 12:00 NN (6 hours of adventure, hurrah). Thanks to my companions on this thrilling and yet another memorable dayhike. sir naligaw din kami jn maga taga laguna n kami hehehe ng pababa na kami.,., pero ok sulit kahit!!! at sir libre po ang registration jn!!! kung ngaun kau pupunta makikita nyo un hukay ng mina n sobra lalim n!! then after nmn s junction s victoria pwede din kau mg jeep 8pesos lng!! sarap balikan ng kalisungan! !